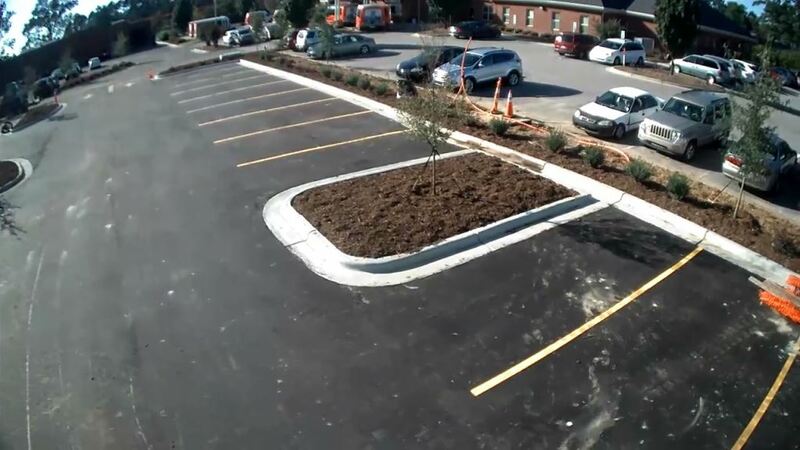 Right here in our backyard of Greenville, NC, this retail space has been a great project so far. 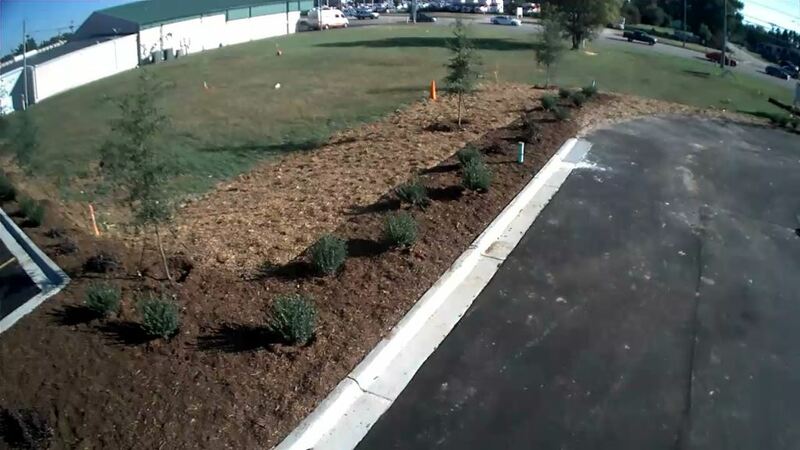 Irrigation lines are going in and some plant material is delivered on site. 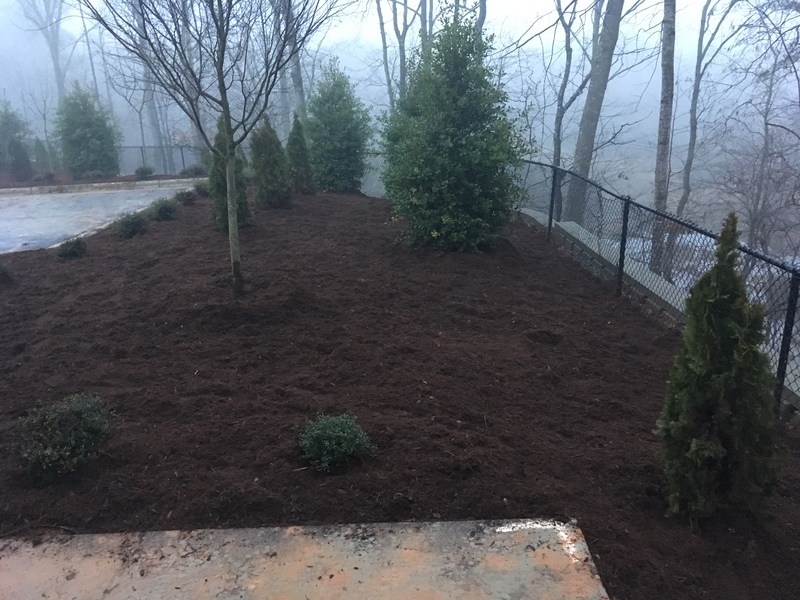 Finishing up this week with a nice job up in Holly Springs, NC. 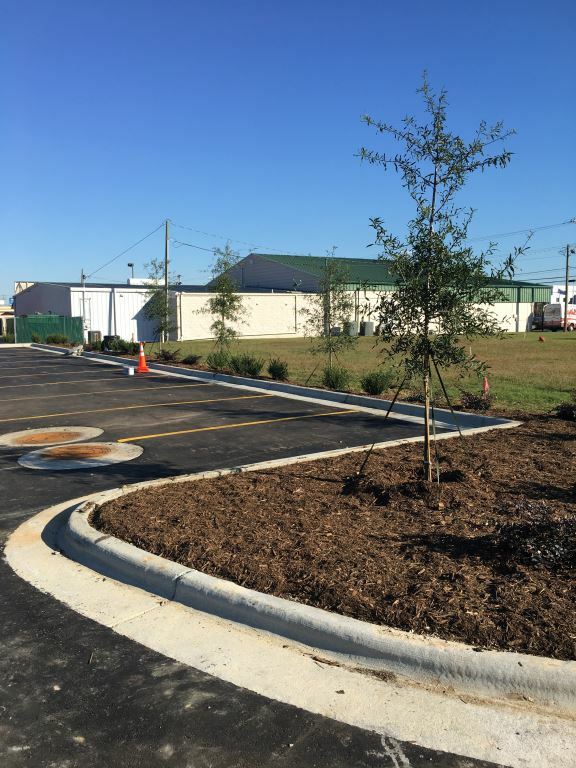 This new construction extends the retail space for Sunset Lakes Commons. 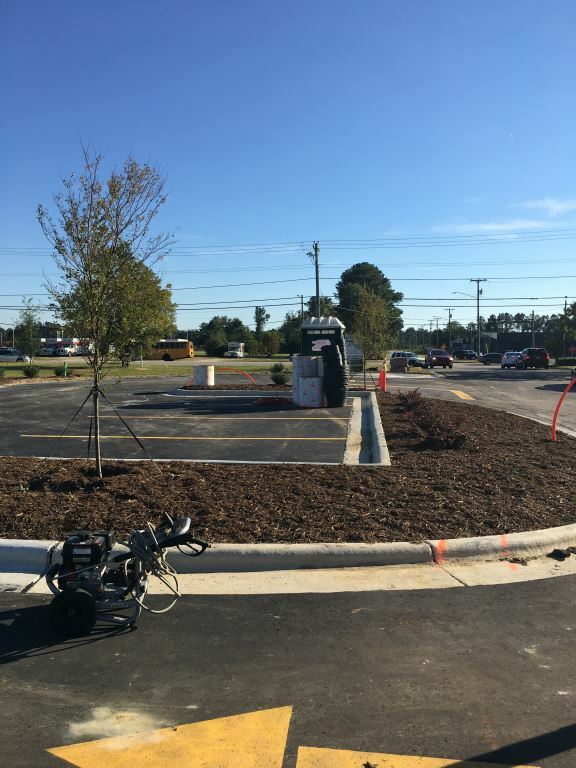 Happy to be a part of this new addition to the Holly Springs Area! 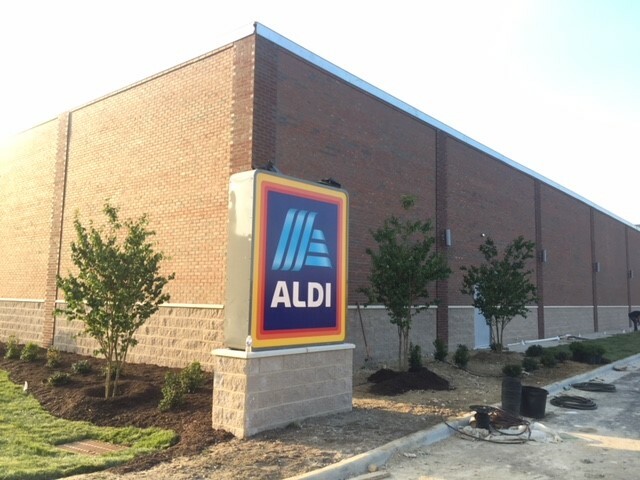 Another Aldi completed and ready to go! 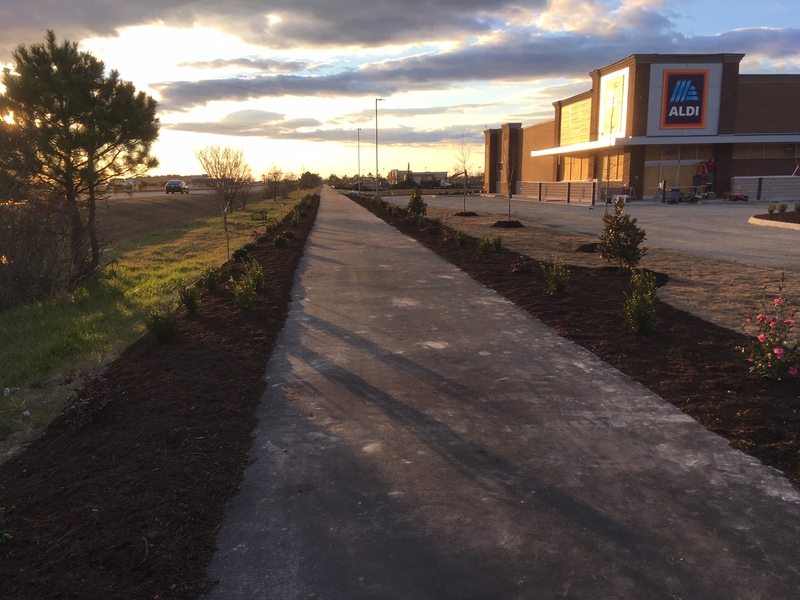 This Aldi is a new store located in Elizabeth City, NC. 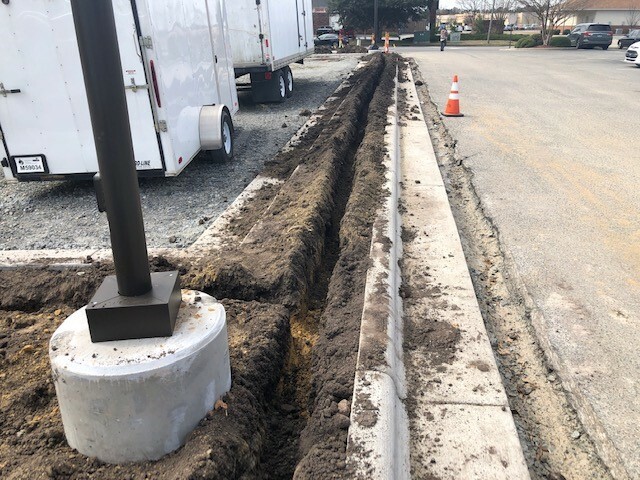 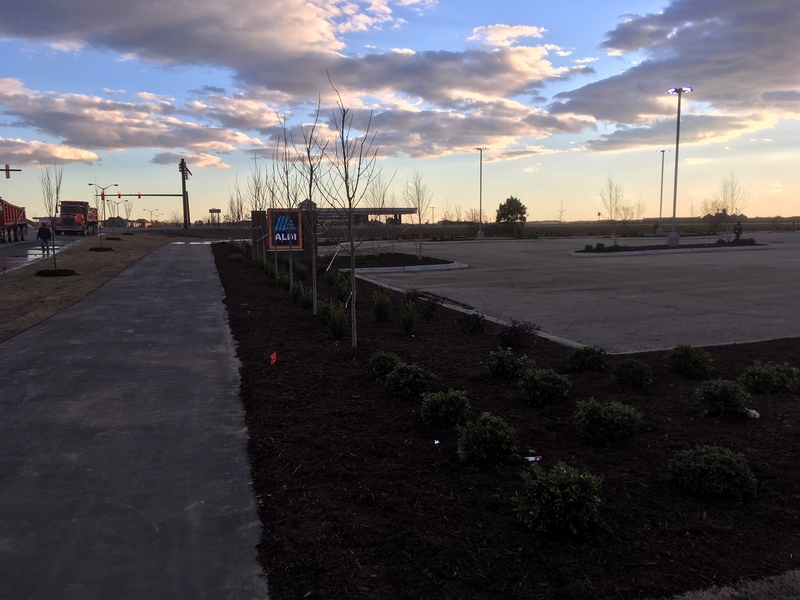 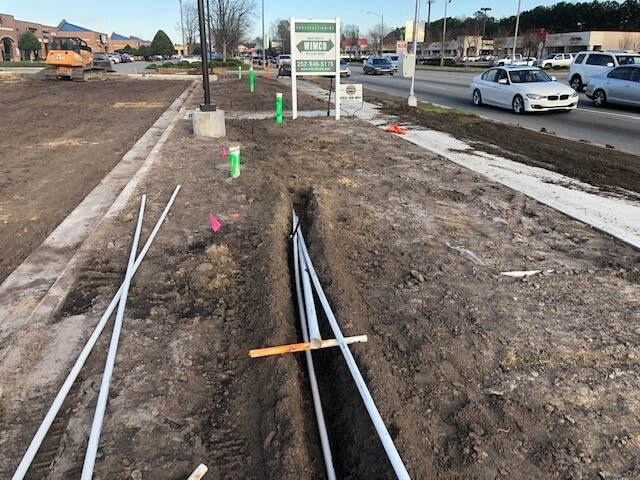 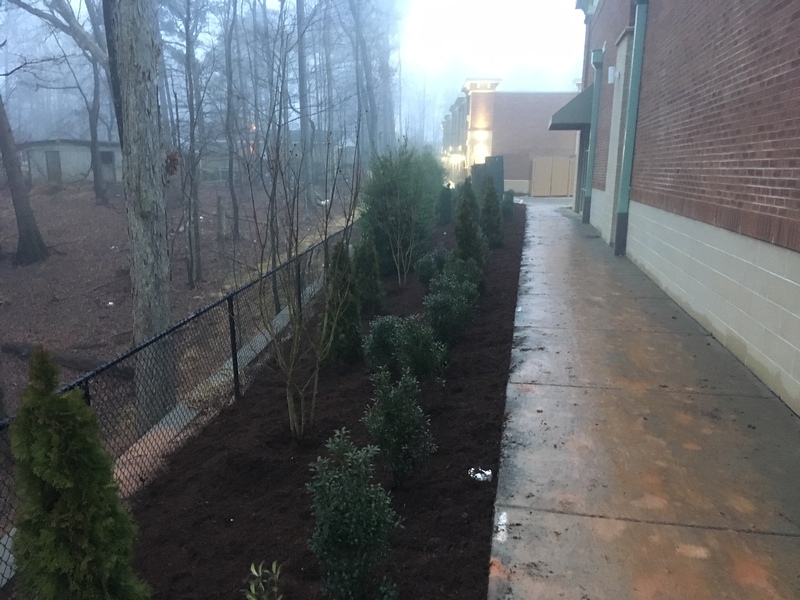 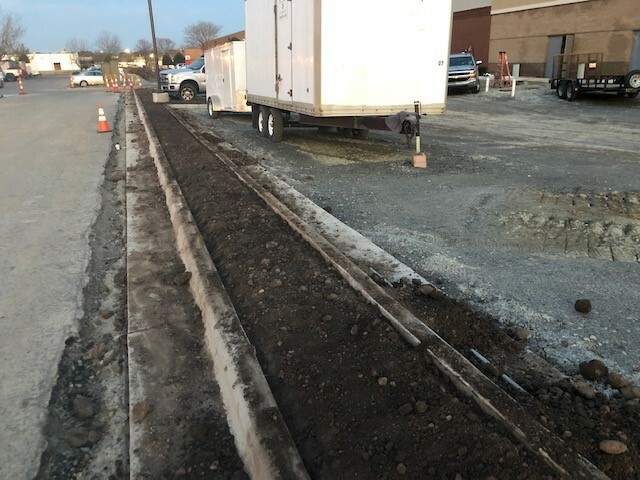 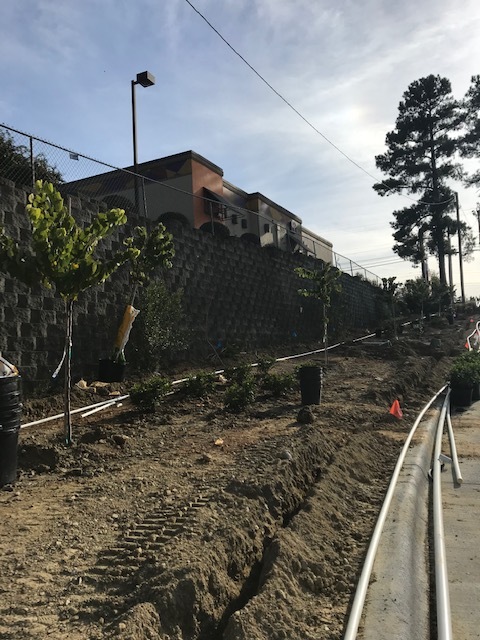 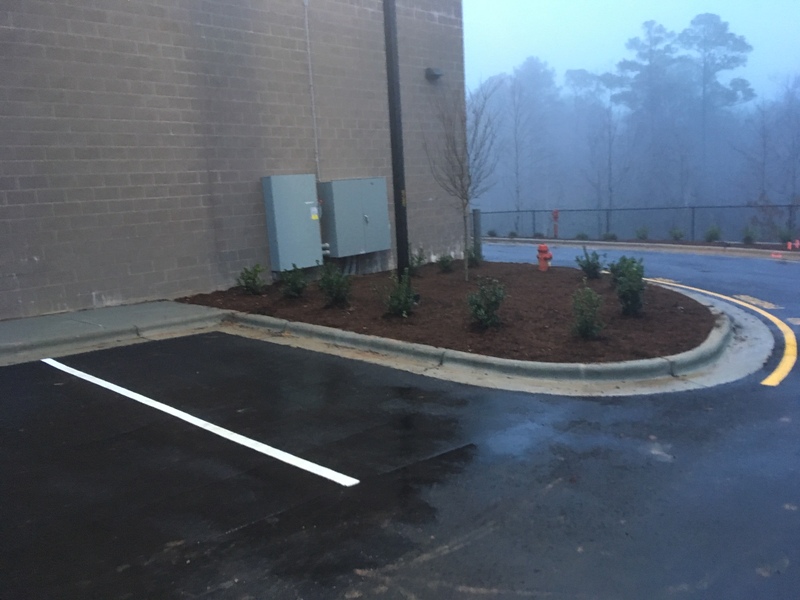 We have completed landscape and irrigation for several Aldi’s all across North Carolina, and are happy to have been a part of such a great team to get this project done. 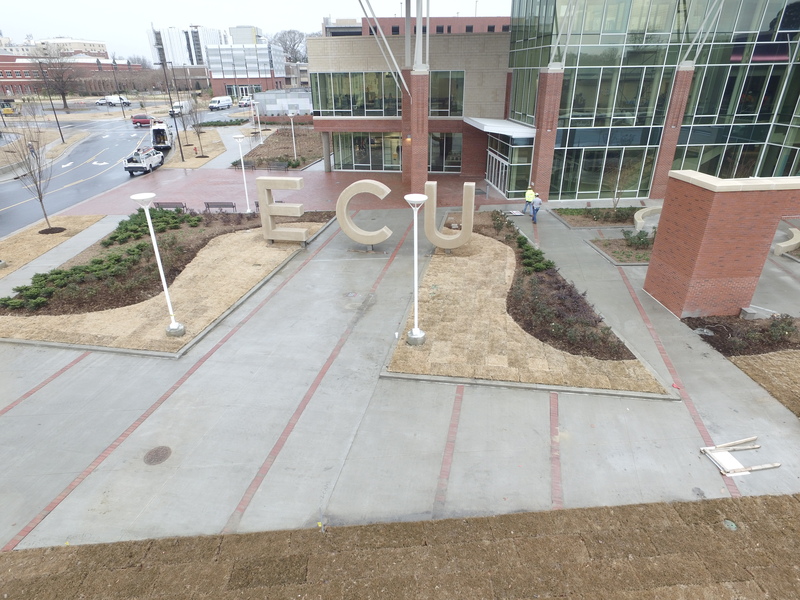 This is a huge project well done down at East Carolina University – Greenville, NC. 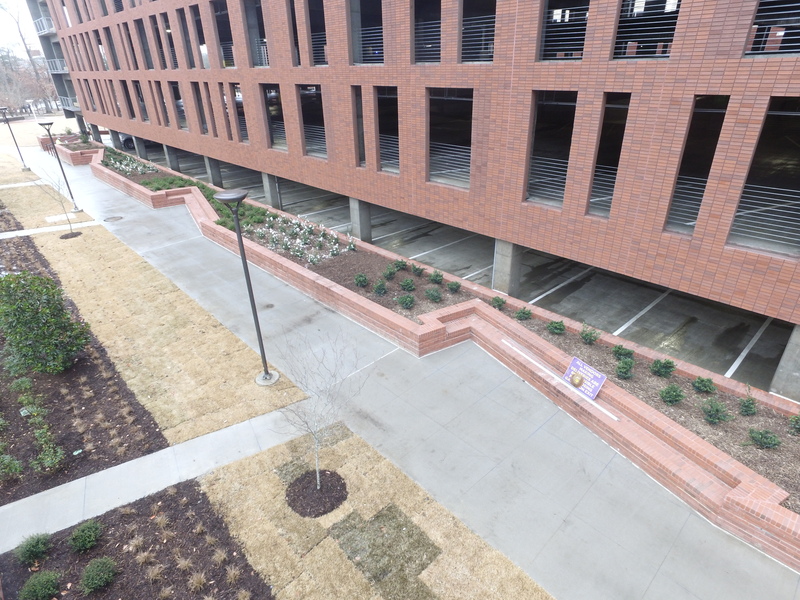 LR Griffin has completed many many projects on this campus and are happy to be a part of such a large addition for the ECU staff and students. 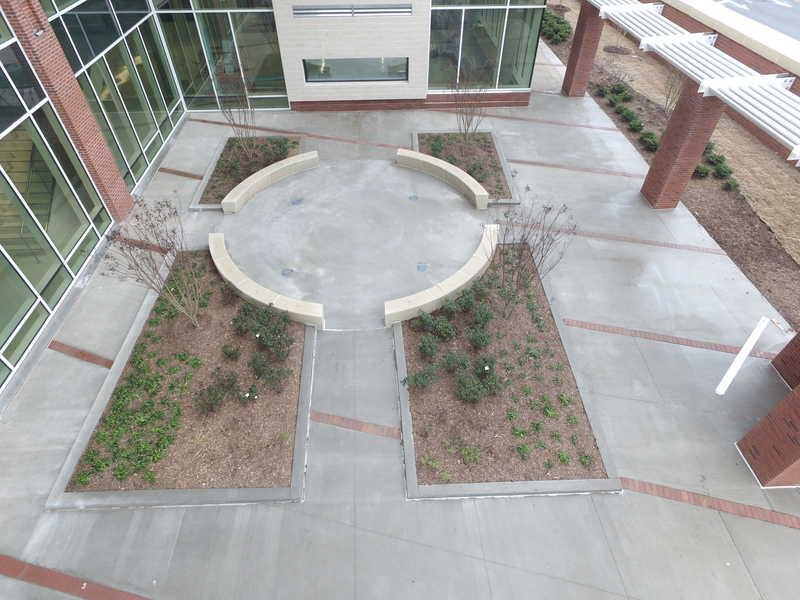 We can’t wait to see this site in color when spring comes! 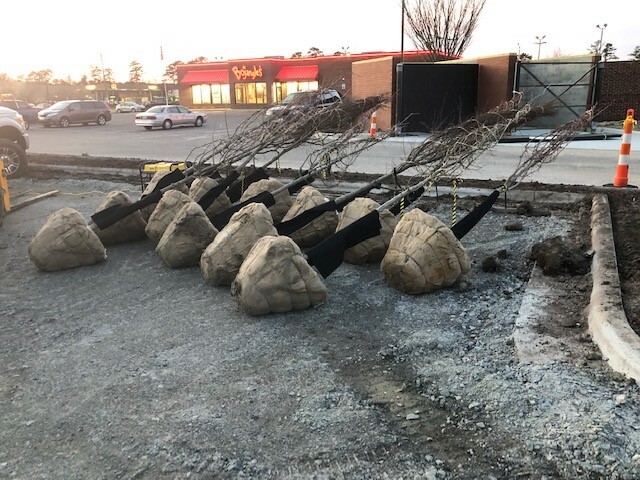 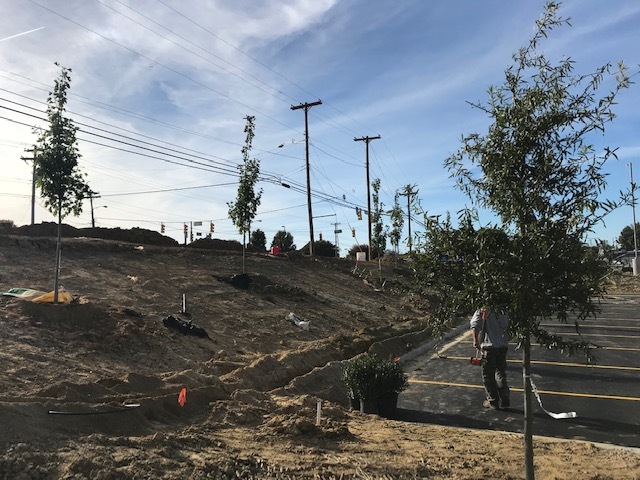 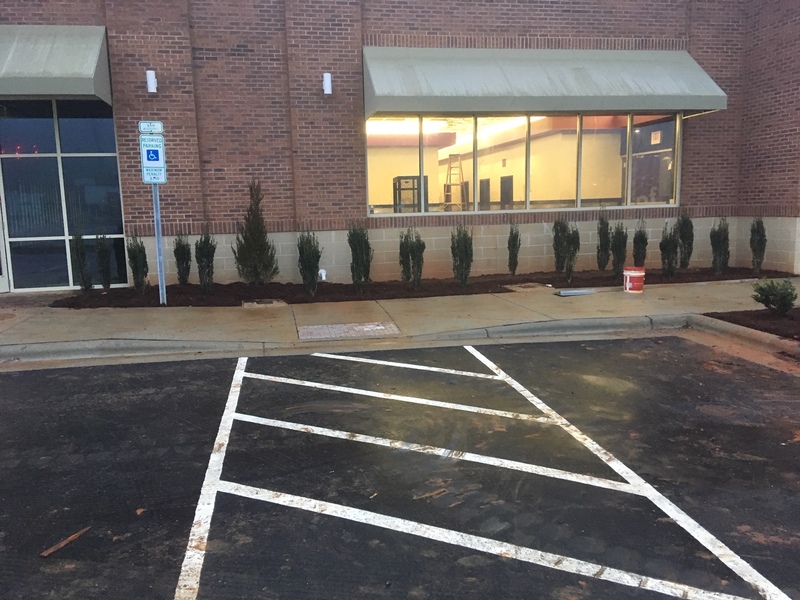 A new Aldi has come into town in High Point, NC, and we are here wrapping up installing new trees and shrubs! 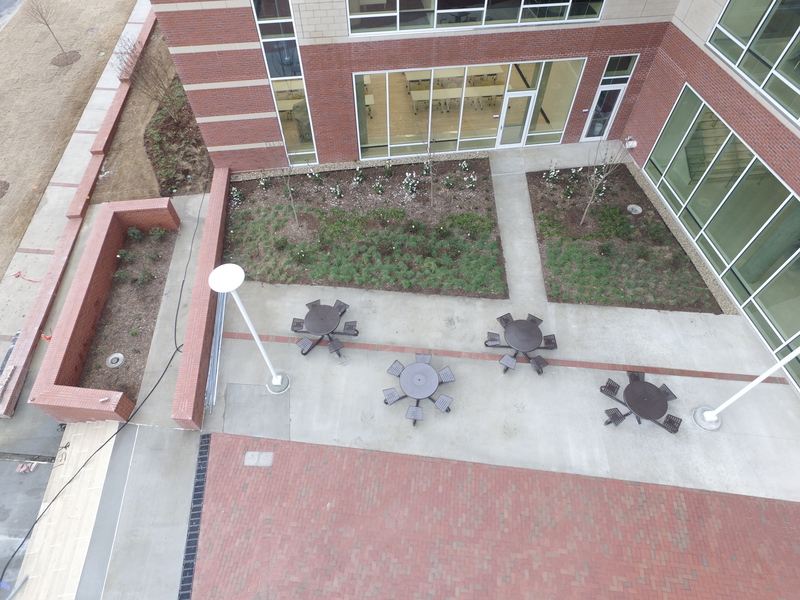 Check back with us for the full look! 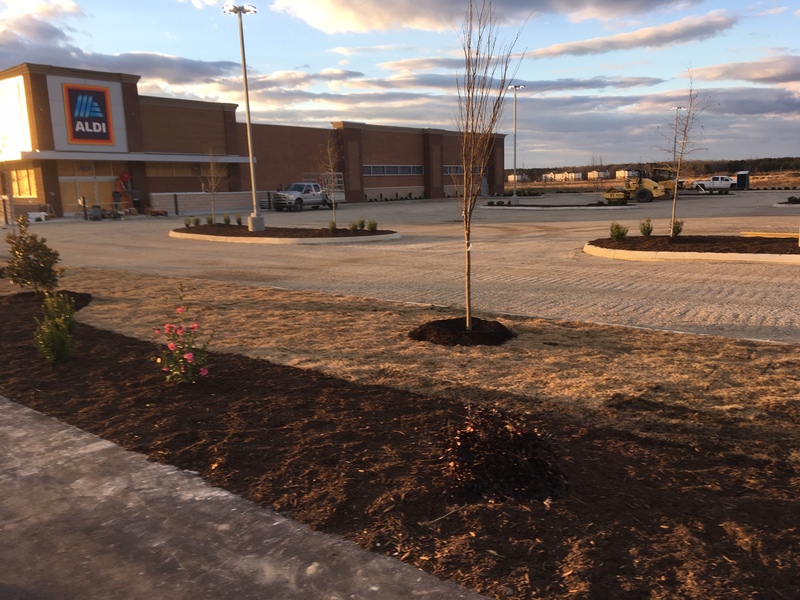 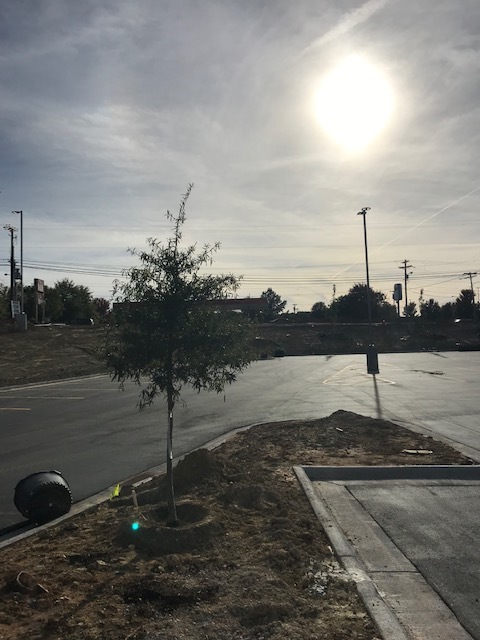 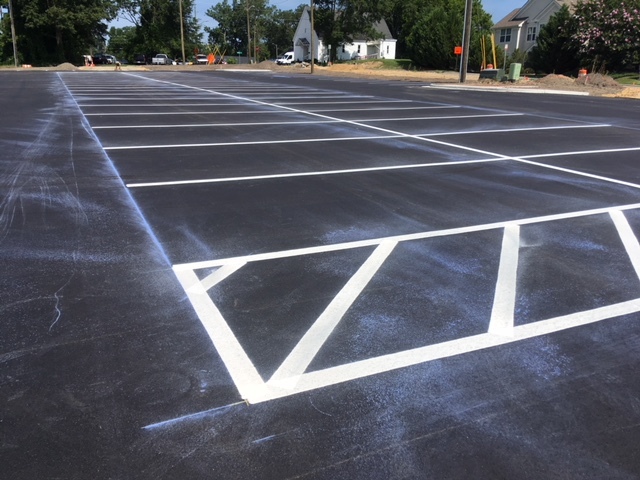 This Aldi was originally finished last year, but has decided to expand their parking lot, so we were happy to come back and help complete their latest addition! 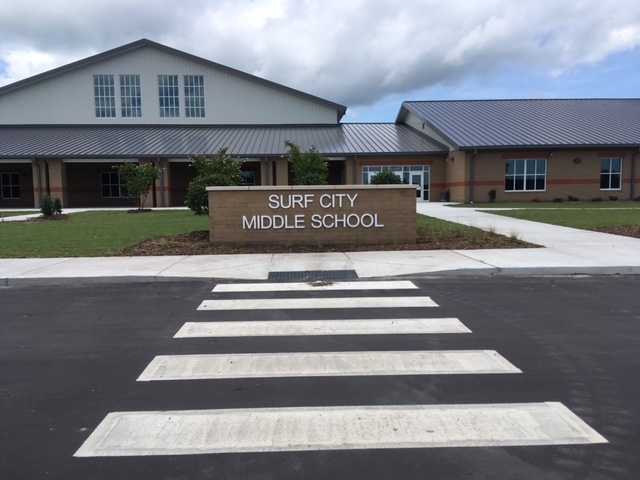 Checking back in from Wilson, North Carolina! 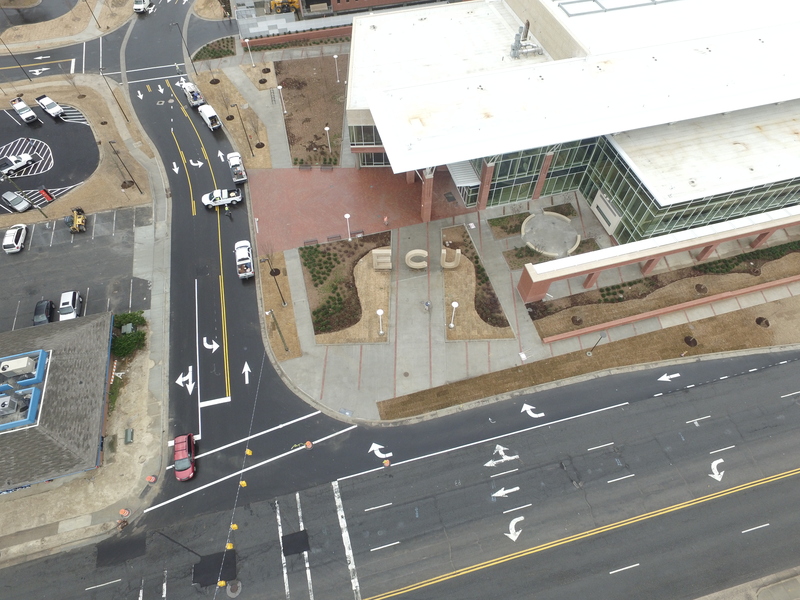 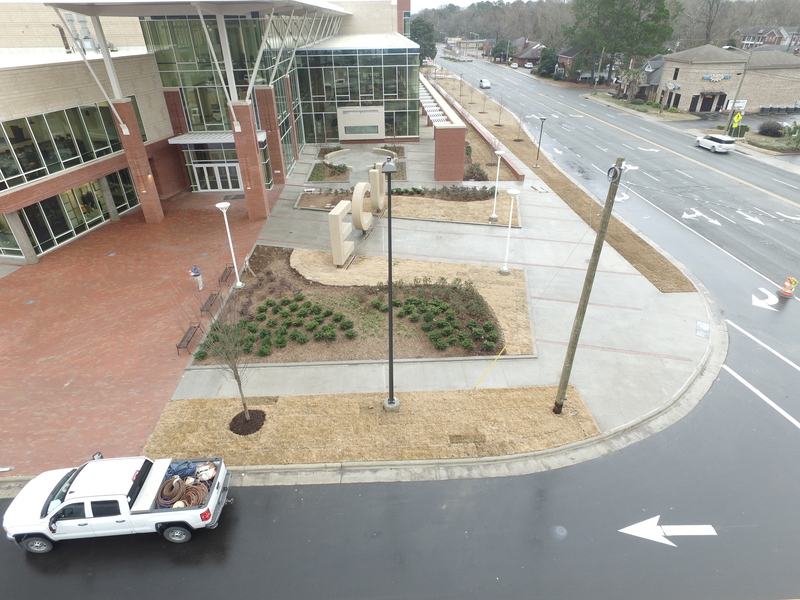 This Vidant Healthplex project has been a great team effort. 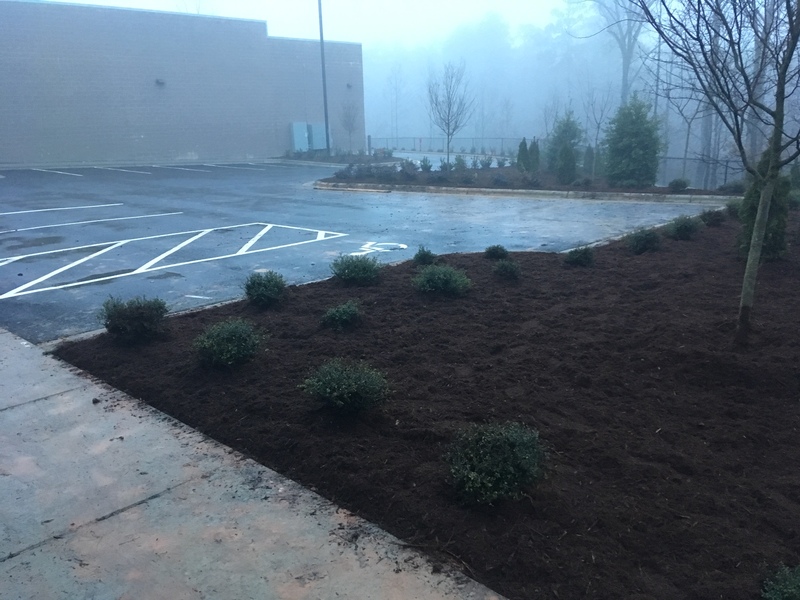 Swipe right to see the finished product! 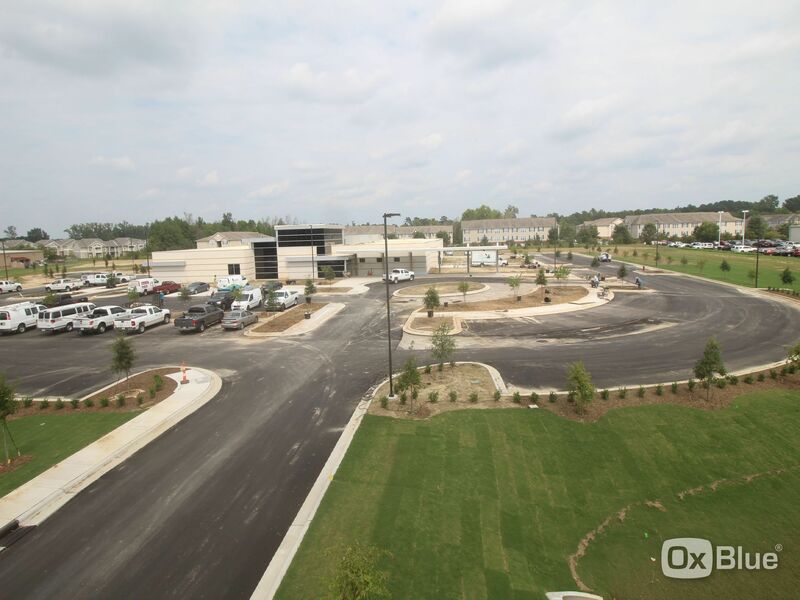 We are here in Wilson, North Carolina, where a new building for Vidant is close to being complete. 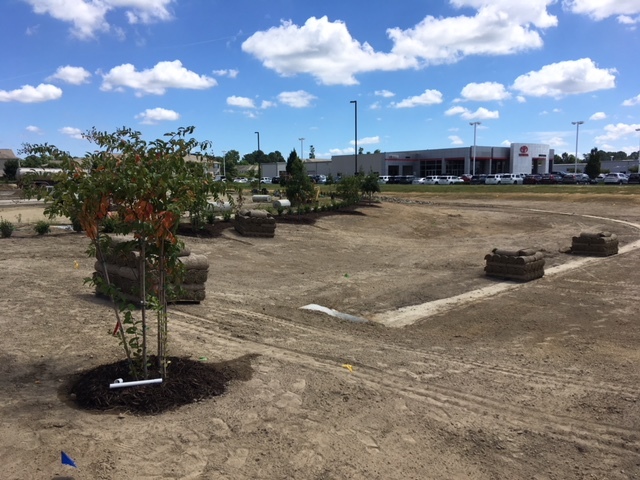 This site is cleaned up and we have plants delivered ready to be installed, and sod is being rolled! 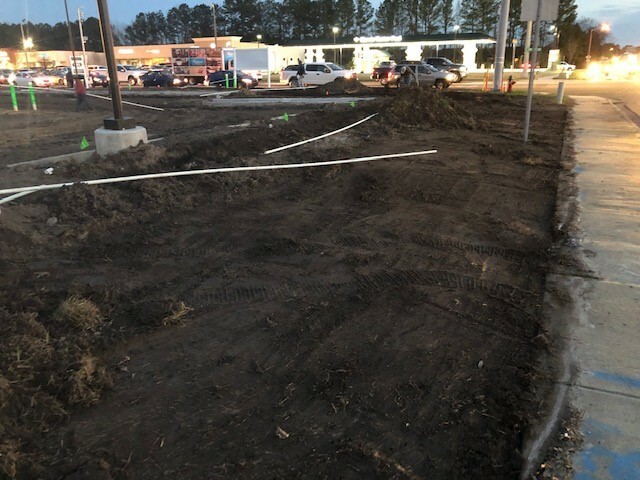 Check back later for a finished project here in Wilson! 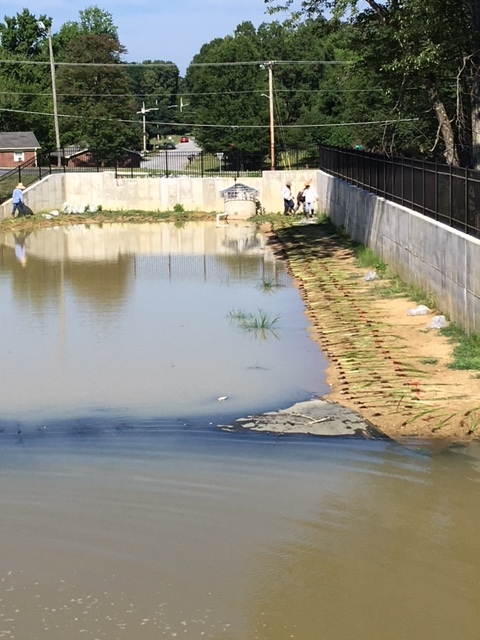 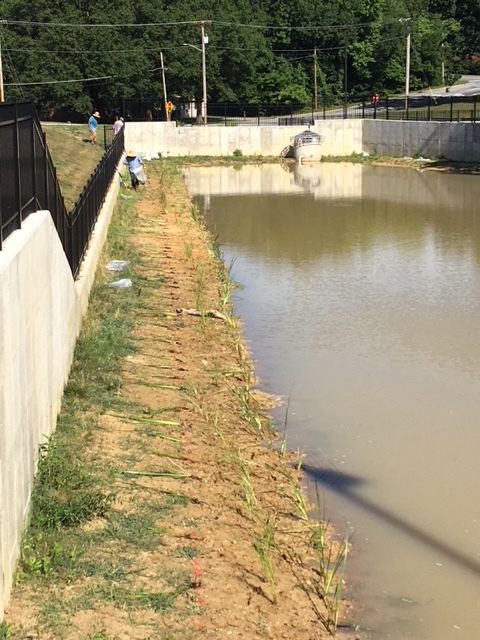 This week we are in High Point, NC where the pond for Publix was finally ready for plantings! 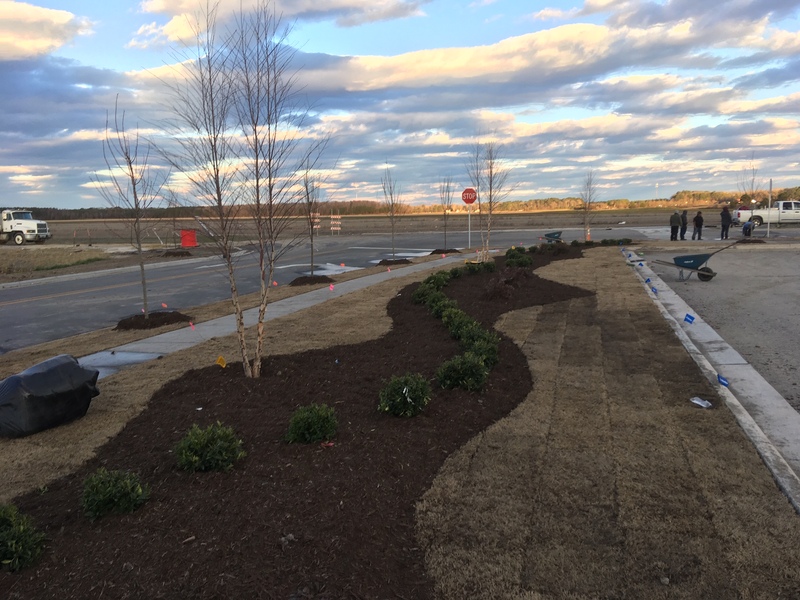 LR Griffin has more than just Landscaping and Irrigation specialty teams, we are also equipped to do striping! 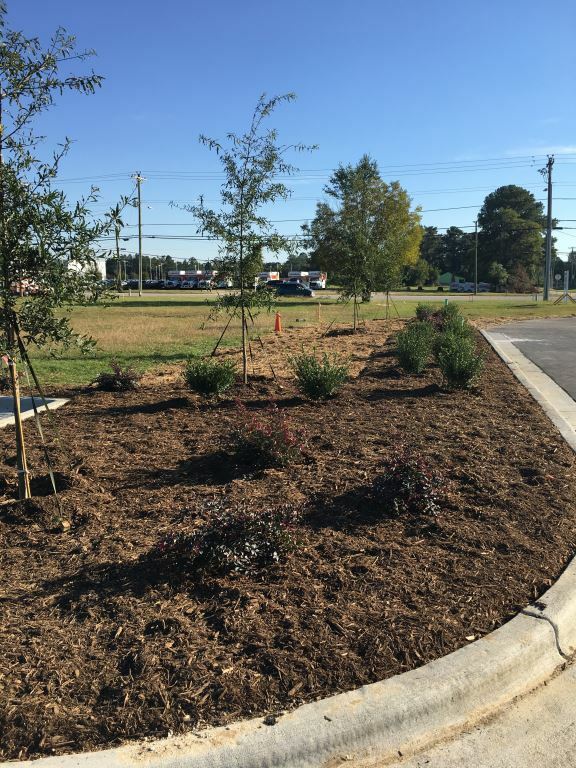 This week we have completed a job here in Greenville, NC. 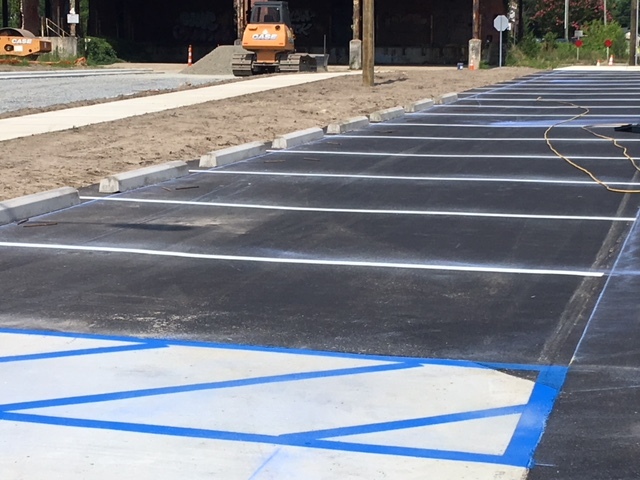 This is a new parking lot located in a part of downtown that is being revamped to a new level. 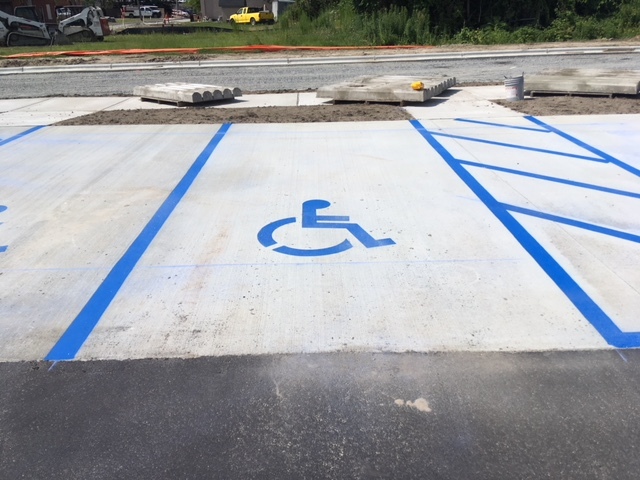 This specific job requested blue handicap spots on concrete, along with the standard white parking stalls on asphalt. 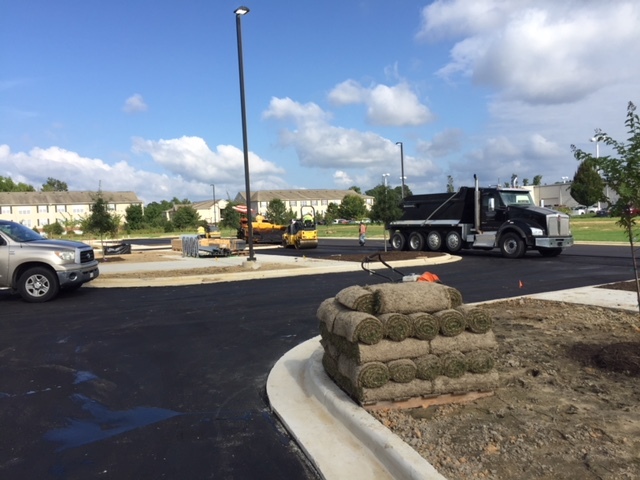 Check back with us later to get an update on what the LR Griffin team is up to now! 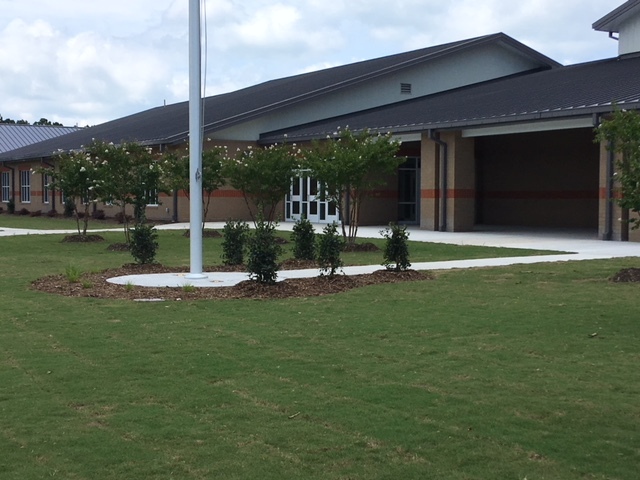 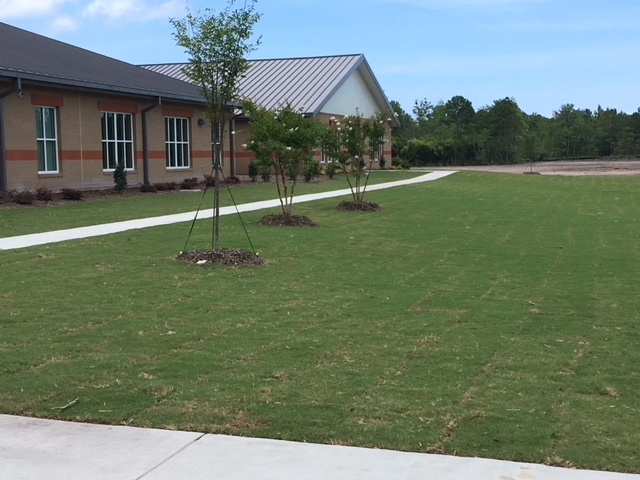 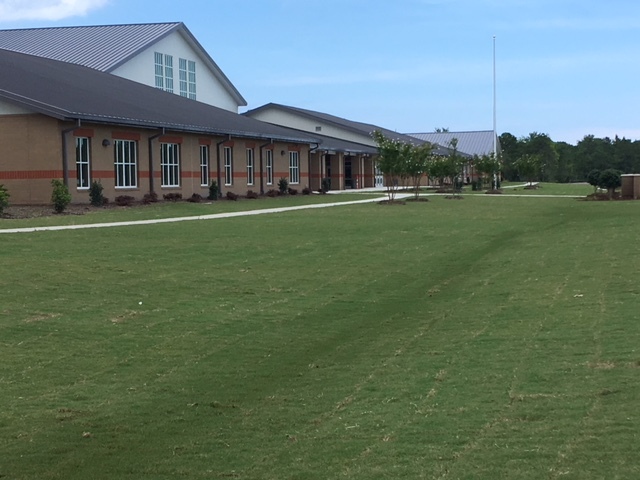 We’re back at the beach, and we have some new updates on this beautiful middle school! 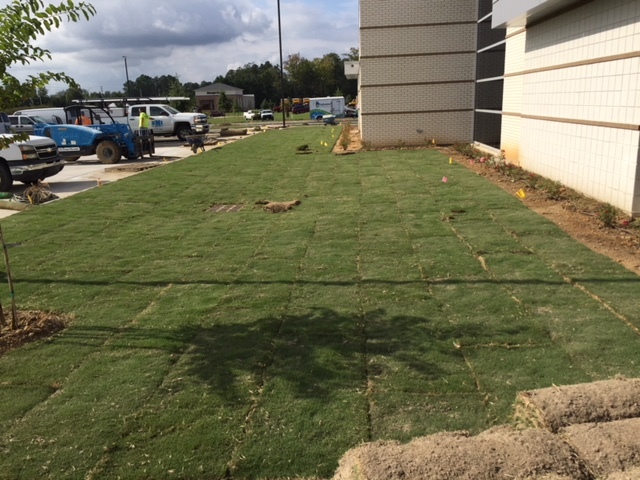 Sod has been installed, and that turf is looking strong. 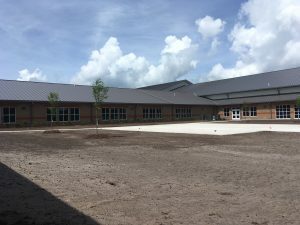 We are wrapping up outside areas, but this is the final update as this school is almost ready for this fall when the kids are back to school! 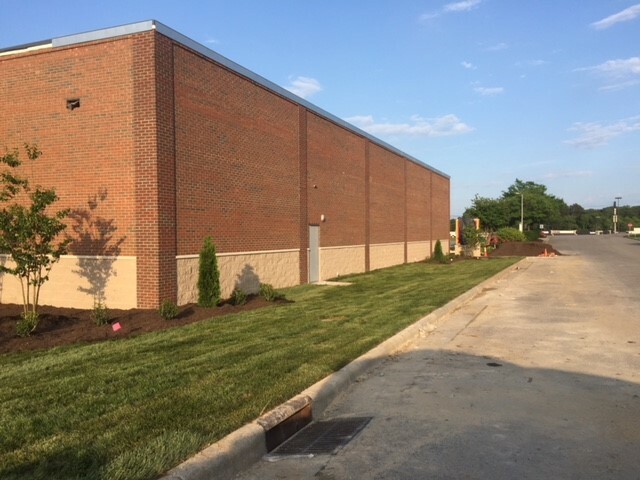 Another project well done, with a wonderful team. 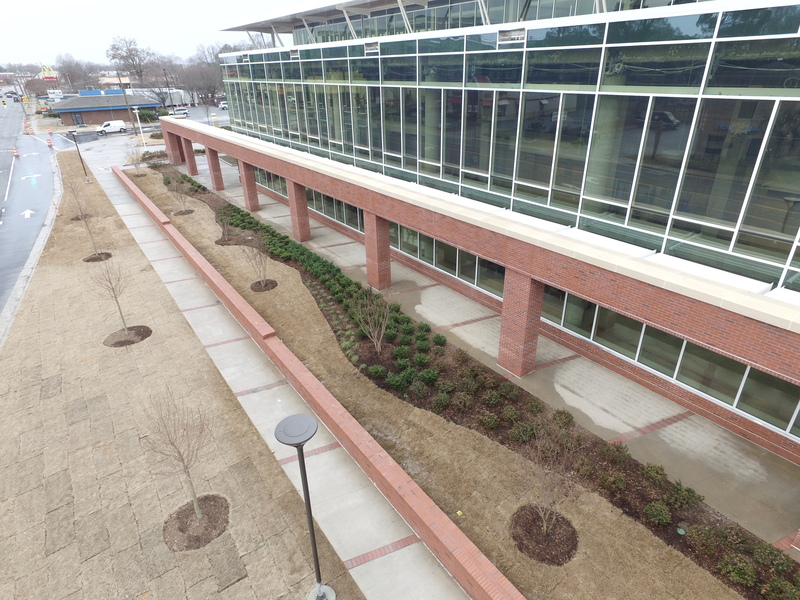 Stay tuned for more updates as we shed light to a different side of LR Griffin! 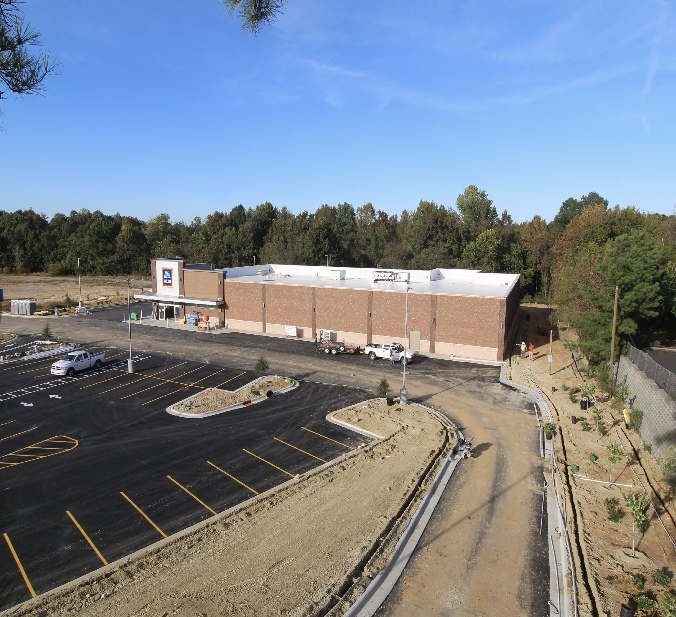 This week we have been out of town working hard to get this Aldi ready out in Mount Airy, NC. 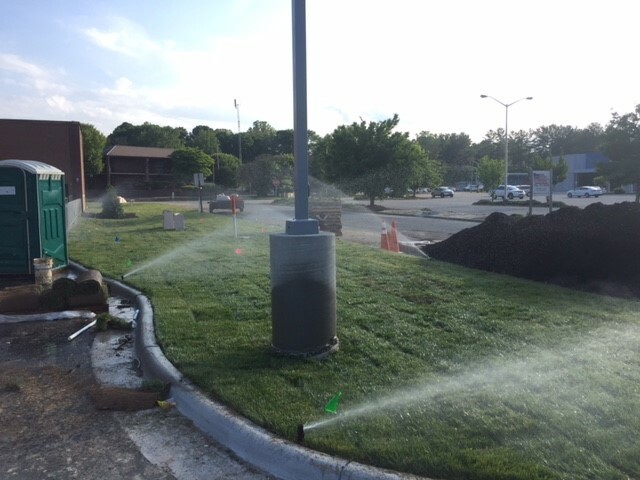 Fresh sod has been rolled, and in our 2nd picture, you can see our irrigation system in action! 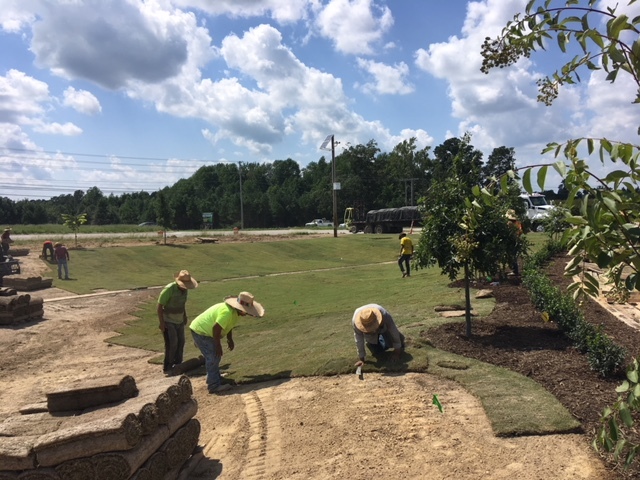 Battling the heat to keep the fresh sod and plants watered is crucial to the survival of their adjustment. 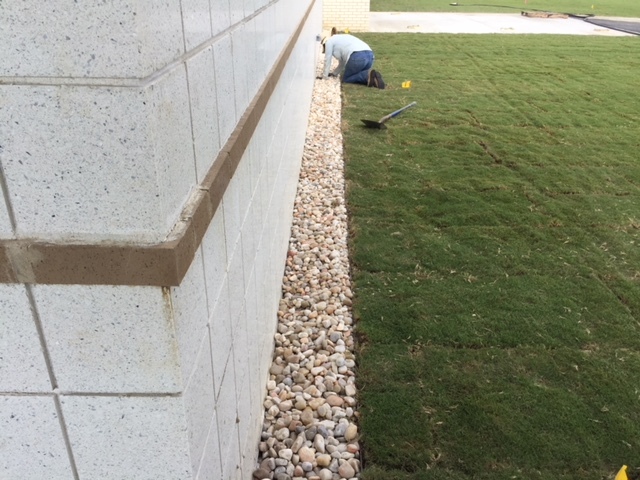 There is still a lot of work and clean – up to do, check back with us to see the finished look! 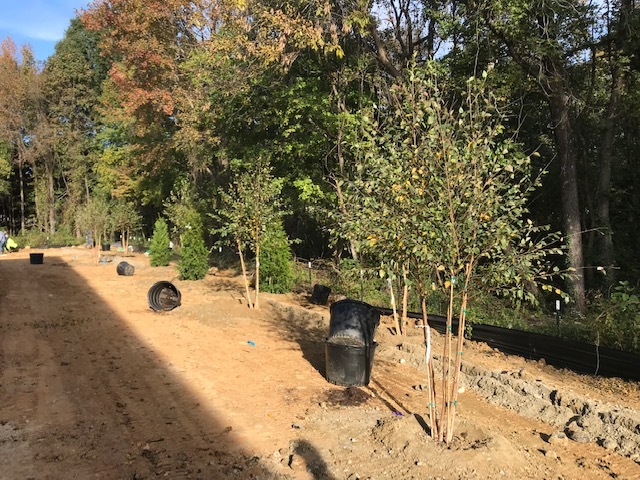 This 40 AC project we have contracted with Barnhill is coming along nicely! 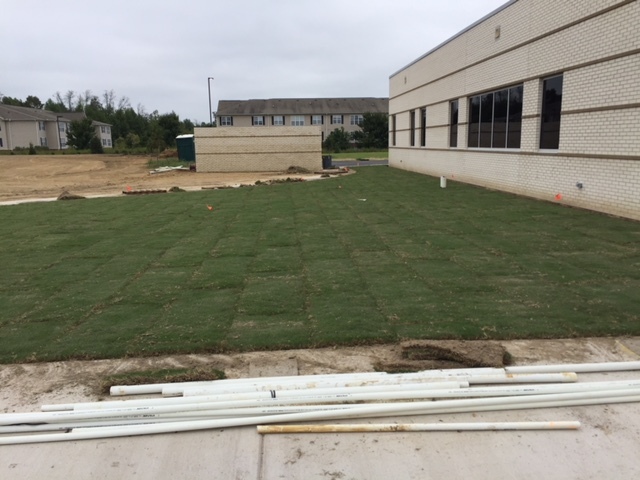 This week we planted most of our material, and are fine grading to prepare for turf! 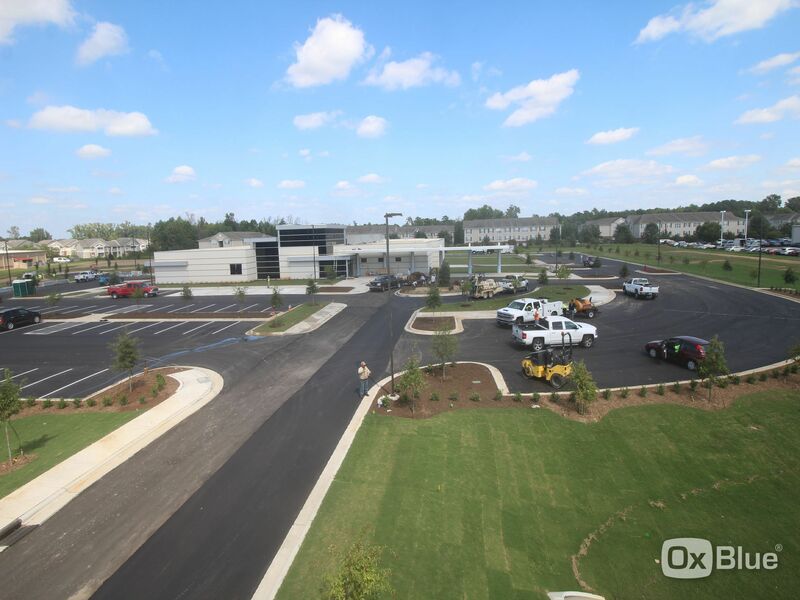 Check back with us later for another live update to see what else we have been working hard on!